With ex-FBI director James Comey due to testify to Congress on Thursday, US Secretary Rex Tillerson was asked by US President Donald Trump to re-engage with Russia and rebuild ties. Rex Tillerson asked by Donald Trump to re-engage with Russia and rebuild ties. 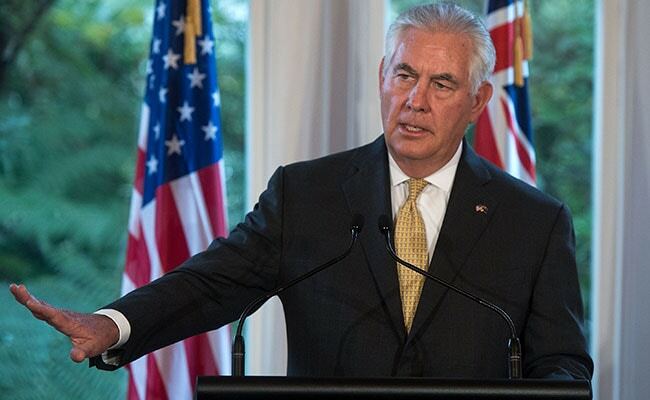 Wellington, New Zealand: US President Donald Trump has told his top diplomat to ignore trouble in Washington and re-engage with Russia to rebuild ties, Secretary of State Rex Tillerson said Tuesday. With ex-FBI director James Comey due to testify to Congress on Thursday, Tillerson was asked if he feared the adminstration would be brought down over allegations of Trump's election campaign ties with Moscow. "The president has been clear to me, 'Do not let what's happening over here in the political realm prevent you from the work you need to do in this relationship'," he told reporters in New Zealand. Comey's testimony will be his first public remarks since being fired by Trump last month, and represents a moment of danger for the embattled president. His sacking came as the Federal Bureau of Investigation (FBI) probes possible collusion between Trump's election campaign team and Russia -- which US intelligence believes hoped to tilt the election in the Republican's favor. Tillerson said he could not comment on the investigations into Russian ties and was "really ... not involved in any of these other issues". But he added: "The president has been very clear with me that Russia is an important global player and today our relationships with Russia are at a very low point and they've been deteriorating. "So the president asked me to begin a re-engagement process with Russia to stabilise that relationship so it does not deteriorate further." Trump wanted him to "identify areas of mutual interest where perhaps we can build some level of trust and confidence so that there are areas where we can work together". "And that's the process that's under way today," Tillerson said. "He's been quite clear with me to proceed at whatever pace and in whatever areas we might make progress." Tillerson met New Zealand Prime Minister Bill English and Foreign Minister Gerry Brownlee on Tuesday after stopovers in Australia and Singapore.